No matter how bad the result or the performance in previous games, the excitement for an away day is still there and since the last away match was all the way back on the 15th January, I woke up feeling like a kid at Christmas!! Though last week we had played some better football, we'd still not managed to win and hopes of reaching the Play Off's this season are slowly slipping away. 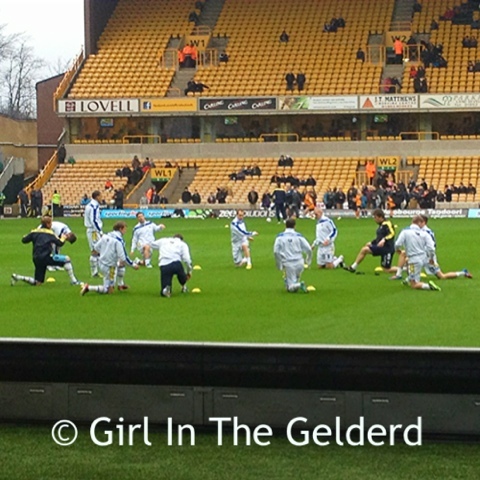 There were new faces in the starting 11, Steve Morison and Stephen Warnock both making their debuts for Leeds United, while El-Hadi Diouf and Rodolph Austin were left out of the squad, replaced by Paul Green and David Norris. The opening minutes of the game looked promising for us and we had chances to open the scoring, Ross McCormack saw his shot go wide of the goal on the 5th minute. 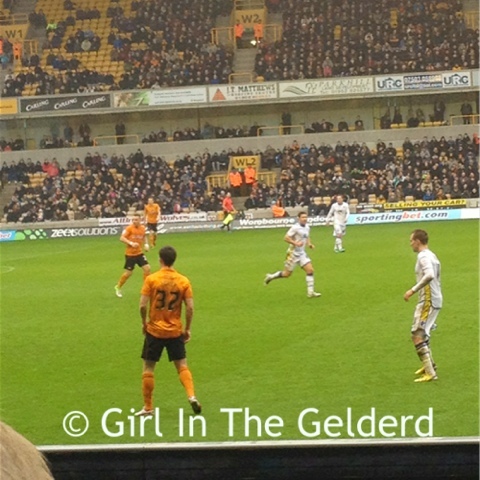 It wasn't long though before Wolves had their opening shot of the game, Kevin Doyle missed to the right of the target on the 6th minute. The home side were celebrating on the 20th minute when Ebanks-Blake put the ball past Paddy Kenny but their celebrations were cut short when they realised that the goal wouldn't stand as the linesman had his flag up for offside. As half time came both sides had been quite even, we'd both had our chances to score. We looked to have the edge, and had been having the better opportunities but we hadn't put them away. 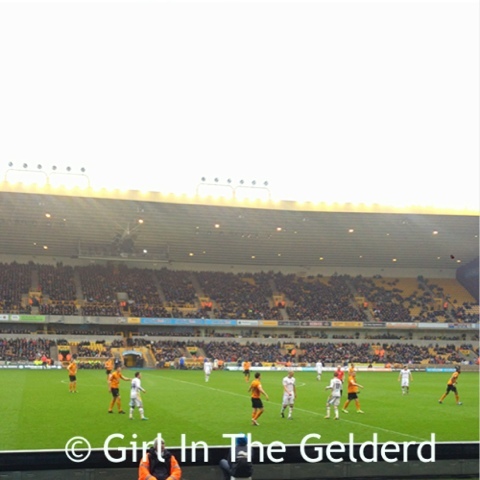 Wolves didn't look much at the back but looked like they could catch us on the break. All in all, we had improved slightly on previous performances but whether it was going to be enough to get that elusive away win was another question. 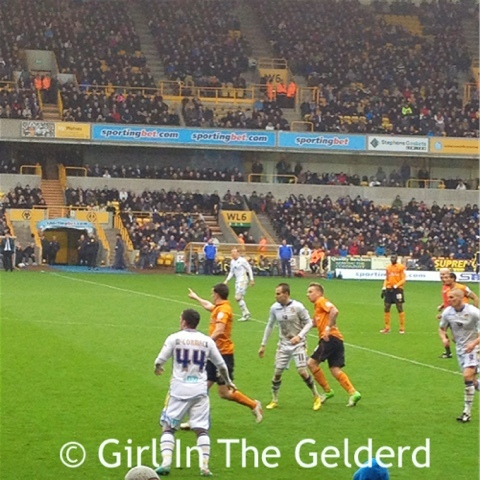 Jamie O'Hara had the first opportunity to score in the second half for Wolves as he headed the ball towards the goal but it was just off target. 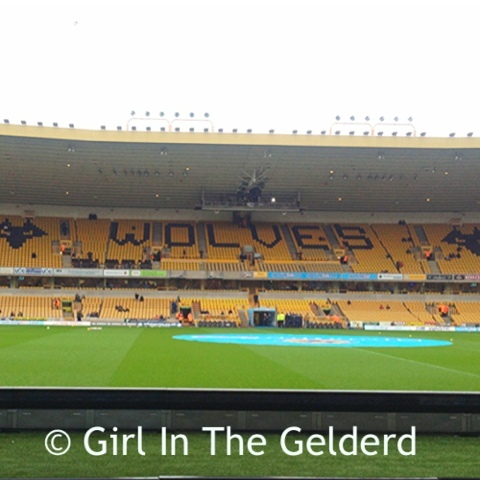 The home side were 1 - 0 up though, on the 54th minute after Stephen Ward delivered a cross which Lee Peltier placed in the back of his own net. Just over 10 minutes later, a fantastic pass to Luke Varney from Ross McCormack, gave Varney the space to shoot and score a brilliant goal in the top right hand corner. 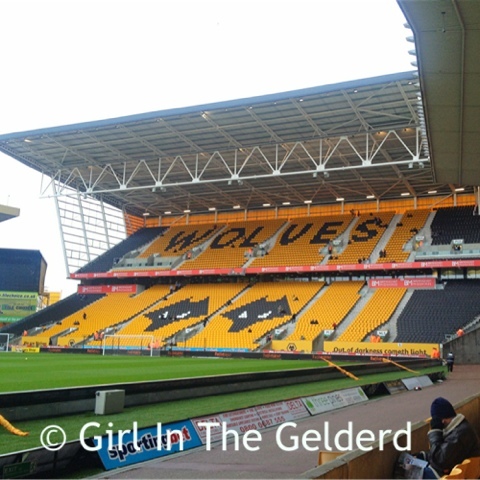 Wolves responded almost immediately and Paul Green was in the right place at the right time to make a clearance off the line when it looked for all the world Berra's header was going to put Wolverhampton in the lead. 77 minutes in and Sam Byram was brought down inside the area by Bakary Sako and the referee, East, pointed straight to the penalty spot. Ross McCormack, who had been sent home from the Scotland Squad after feeling 'flu like symptoms' midweek, stepped up to the mark and showed no signs of illness as he put Leeds in front for the first time in the game. This lead was ours to lose now though and it was going to be a tense end to the match. The referee added 4 minutes of injury time. 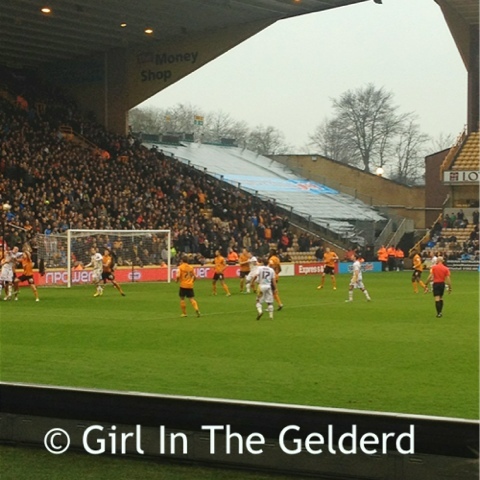 In the 2nd minute of added time, Wolves were awarded a corner after Paddy Kenny appeared to push the ball out of play from a shot that was going well wide. 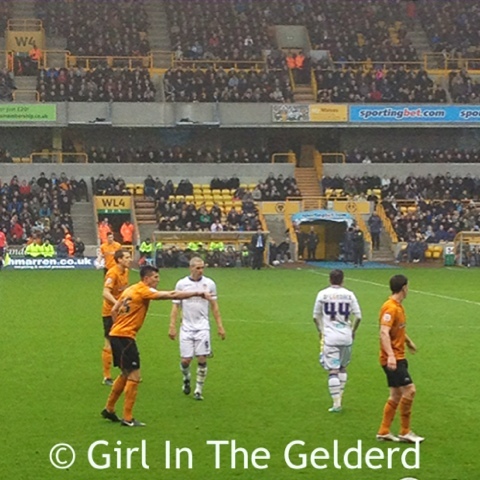 Jamie O'Hara took the corner and it was Danny Batth that managed to score the equaliser. As the full time whistle blew, and we made our way back up the hill to our coaches, frustration was the only thing I felt. It wasn't a point gained for me, it was two lost against another team at the latter end of the table. 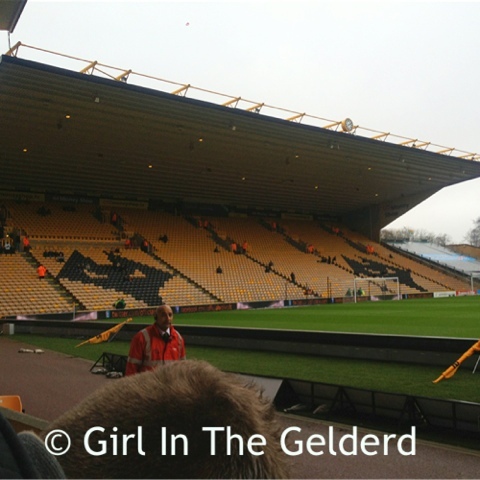 Another away match on Tuesday night away to 6th placed Middlesbrough. The Play Off's currently seem a million miles away, though mathematically still possible, I don't think we have the edge to make it. I hope I'm proved wrong.